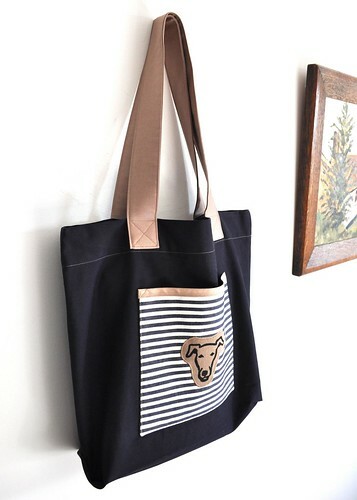 Introducing one of the new range of roomy shopper/tote bags. This one shows the greyhound/whippet print, and I also do the Terrier prints, including the new cheeky Border Terrier print, and the Labrador print. There is a non-dog version, with a button detail instead, for those not as dog mad as the rest of us! And there will be a cat edition…… BUT, so far a very good response for the dog print versions….